260 years ago, residents of Bell Bar had the choice of four pubs, all within a five minutes walk of each other, and all serving home-brewed real ale. 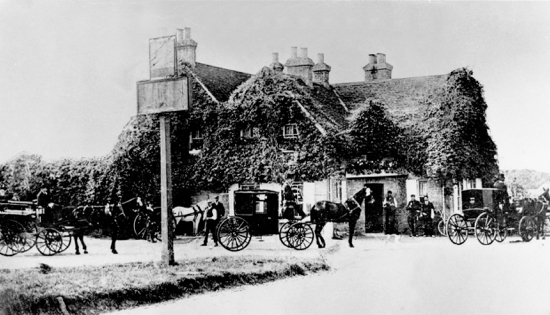 All four inns or alehouses, The White Hart, The Swan, The Bell, and The Bull, had accommodation and stables too, because Bell Bar was a major staging post between London and the north. A new feature has just been added to our new history site, The North Mymms History Project.